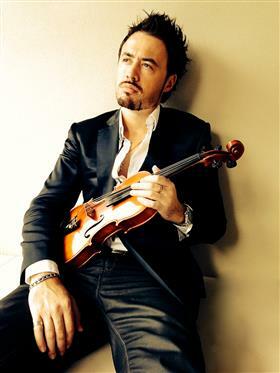 Australia’s Global Violin Sensation, Patrick Roberts, will be performing live in Newcastle, Central Coast and Sydney this September with an energetic fusion of crossover and popular music bound to delight his legions of fans. Recently returning to Australia from an international tour, Patrick has broken the mould of classical music with a high octane crossover approach and a cutting edge new genre on violin. Known for his remarkable performances on The Good Friday Appeal (Network 7), Carols By Candlelight (Nine Network) and live concerts around the globe, this dynamic and commanding artist will showcase an array of lively and heartfelt songs of The Beatles, Frank Sinatra and Josh Groban, along with a collection of great musical masterpieces including “Habanera” from the opera Carmen, Les Miserables’ “I Dreamed a Dream”, and Joaquin Rodrigo’s “Concierto de Aranjuez” from his latest album Vision (all proceeds benefit Vision Australia). Patrick will also be debuting his newly released single One World. This brand new song is an original recreation of the legendary New World Symphony by Dvorak and was produced by award-winning UK producer Gareth Cousins (Vanessa Mae, Bond). One World marks the turning point in Patrick’s new musical direction and encompasses all the recent crossover elements coupled with his own unique brand of expression and musical emotion. Patrick Roberts can’t wait to hit the stage in his limited season NSW tour and deliver a spectacular evening of live music not to be missed.